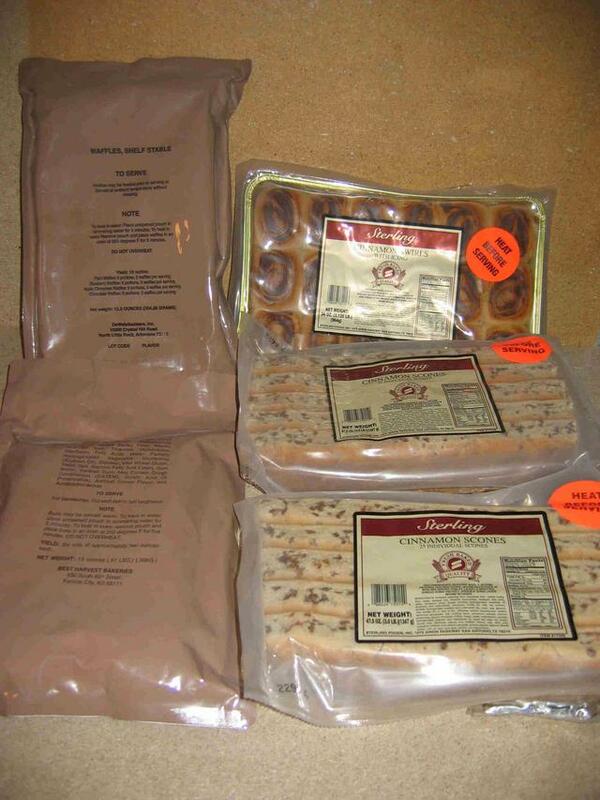 Wanting to trade (1) complete First Strike Ration Menu #2 (this has Tuna instead of chicken for some reason) OR (1) UGR Breakfast Cake W/ maple syrup (Fresh 2008 MFG) for some of the large UGR / Tray Ration dessert items like; cakes, cupcakes, ESPECIALLY brownies with choc. drops, etc.... US only please. Only wanting to trade at the moment please. Last edited by cavguy on Thu Jan 20, 2011 7:49 pm, edited 2 times in total. Hey cavguy, welcome to the forum! Does cav in your name stand for cavalry? There are a few places with UGR trays for sale on a regular basis but your choices are going to be pretty limited. So far I've only found apple and blueberry dessert up on actual sites and two cakes via a member on here (not sure where he got the cakes originally). Longlifefood.com used to have more variety but still has a few types, mredepot.com has a pretty good meal/side variety but only the blueberry dessert (weird, basically pie filling), and eBay has a few now and then but not really any deserts outside of apple/blueberry. Battledressuniform.com has a pretty good variety, but I haven't bought from them yet myself. Then there are other places that for some reason think they can charge $20 each for these so I don't really worry about what they have in stock since I'll never buy from them. I'd say your best bet for cake/brownies is to keep your eyes on eBay and make sure you keep an eye on private messages here on the forum in case someone sees this post and gets back to you. For whoever that someone may be - feel free to shoot me a pm as well if you have enough to sell to the both of us! I'm always looking to try new varieties of these trays and go through quite a few of them feeding hungry folks in the desert at Burning Man every year. Thanks for the info, yes the Cav is for Cavalry, I used to be in a RSTA cav unit. I actually never had the blueberry dessert or the apple when I was in but they don't seem to appealing from what I read. The cakes, brownies / other desserts are where actually very good but VERY hard to find. Hopefully someone here will come across a few or some trooper that has some to spare! I had the apple dessert for once and I realy liked it! I have also 5 T-18 blueberry muffins but postage will kill the "deal"
Cinnamon scones or the waffles? Nice those are exactly what I am looking for! Those are the ones from the new UGR they are pretty good too! I had the snickers one when I was in it was VERY sweet. I had the waffles before but not the scones. You usually only eat these when you go to the field. Yeah Housil, Where do you get those dessert trays? Treesuit wrote: Yeah Housil, Where do you get those dessert trays? 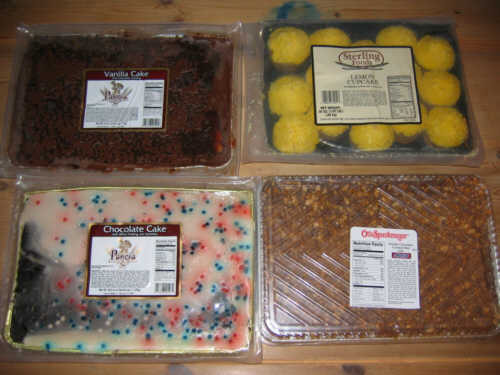 dont forgett the frozen tray cakes - they are yummmmmmmi! 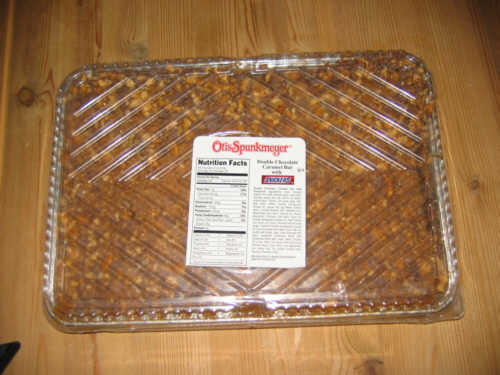 Still looking for UGR Tray desserts. Still looking for UGR Tray desserts. PM me if you have any for sale/ trade.